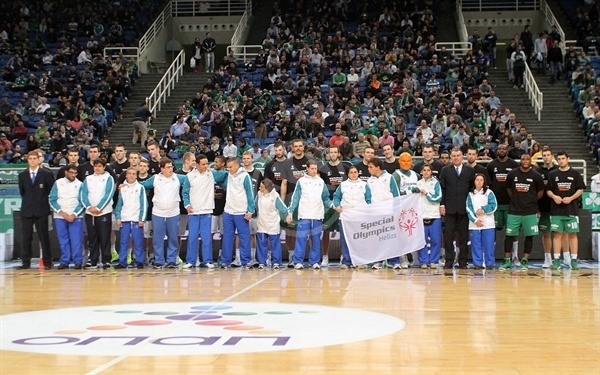 Panathinaikos Athens qualified for the Top 16 for the 12th consecutive season after downing Union Olimpija 80-72 in O.A.K.A arena on Thursday night. 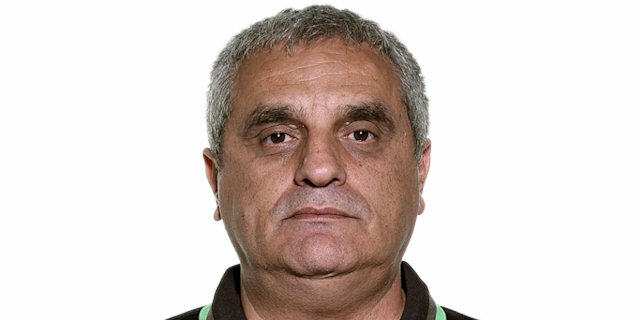 Panathinaikos now holds a 5-3 record for a second place tie in Group A, while the loss eliminates Olimpija, which fell to 2-6. The Greens made a key run in the third quarter, turning a tied game into a 17-point affair thanks in part to three-pointers from Jonas Maciulis, Michael Bramos and Marcus Banks in addition to the team’s strong defensive effort. Olimpija came back within 4 points, but in the end the hosts managed to hang on for an important victory. 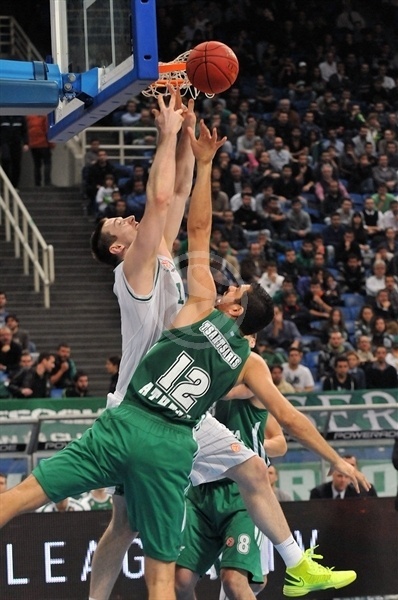 Roko Ukic and Banks led Panathinaikos each scoring 14 points, while Stephen Lasme had 13 points, 8 rebounds and 4 blocks. Bramos chipped in with 11, and Maciulis with 10 points for Greens. Jaka Blazic scored a game-high 17 for Olimpija. Dino Muric added 16, Klemen Prepelic 11 and Aron Baynes grabbed 10 rebounds along with 7 points in defeat. Baynes split free throws to start the game as the teams traded leads early on. 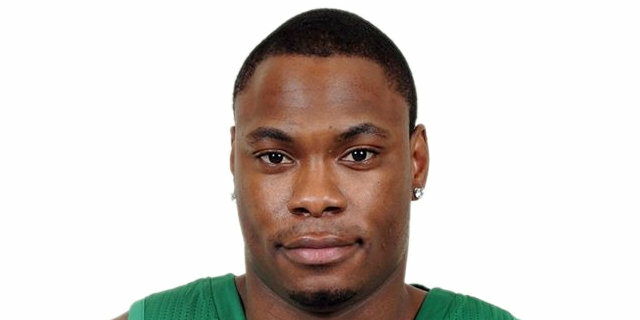 The visitors got a jumper from Dominic Waters and Baynes added a put-back, while Kostas Tsartsaris scored twice inside and Ukic contributed with 6 points, giving Panathinaikos 10-7 advantage. Bramos extended the lead with a three-pointer, but Blazic answered with a jumper and a coast-to-coast drive to get visitors within 13-11. However, Lasme made sure Greens ended the first quarter on a positive note, scoring twice inside for 17-11 after 10 minutes. Lasme continued his streak with a layup at the beginning of the second quarter. 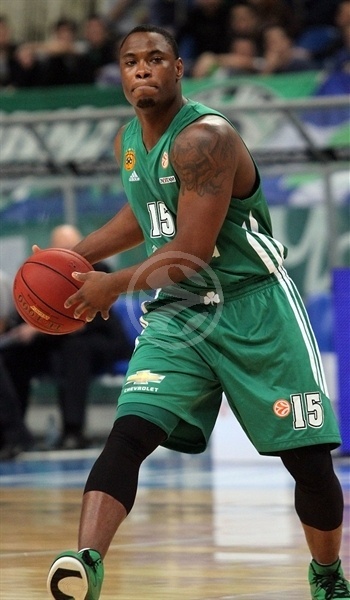 Olimpija continued its struggles to get open looks. A layup from Maciulis extended the lead to 21-11, and after Blazic sank a triple, Dimitris Diamantidis fueled Panathinaikos’s run dishing assists for a dunk over two players by Lasme, an uncontested layup by Ukic and an Andy Panko triple from the right corner for a 29-14 lead. The visitors got their offensive spark from Sasu Salin, who hit a triple and a long jumper to start a string of 11 unanswered points capped by an Alen Omic layup. Banks and Ukic briefly got the lead back to 9 points before Jan Mocnik hit a triple and Dino Muric scored twice in the final 5 seconds of the quarter. Muric first scored a layup, and after a Panathinaikos turnover, 0.4 seconds left on the clock were enough for Muric to tip in Salin’s alley-oop inbound pass, making it 35-33 at the half. Baynes tied the game with a layup on the first possession of the third quarter before Panathinaikos answered from downtown – Bramos and Maciulis hit back-to-back triples followed by a pair of shots behind the 6.75-meter line by Banks to make it 51-41. Blazic and Muric kept Olimpija in touch with buckets inside, but a three-point-play by Lasme and an alley-oop pass from Banks to Panko made it 56-43. Lasme contributed on the defensive end with couple of blocked shots, while Maciulis and Panko made it a 17-point game. Olimpija cut into the lead with back-to-back triples from Klemen Prepelic and Teemu Rannikko before Diamantidis scored his first points of the game from the foul line to make it 62-49 at the end of three quarters. The visitors had no intentions of going away, though, holding Panathinaikos scoreless for more than three minutes at the start of the fourth quarter while Blazic and Prepelic hit back-to-back three-pointers to cut the lead to 62-56. The Greens found the answer after a timeout as Maciulis hit a triple from the right corner and Banks made a tough runner for 67-57. It looked like another triple, this one from Bramos for 72-59, sealed the deal for the hosts, but Prepelic answered with a three of his own before Olimpija went on a 0-8 run, cutting it to 74-70 with baskets from Baynes, Muric and Prepelic. The latter had a chance to bring the visitors within 1, but he missed a three-point attempt before Banks made a pair of free throws and Lasme scored on a put-back to seal the deal. 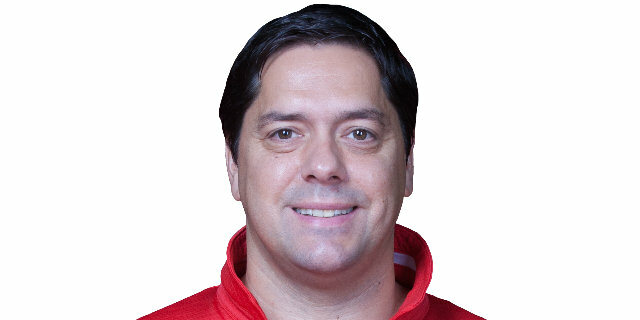 "I said yesterday that the Euroleague has no games which allow you to rest or play without focus. We took an early lead, but we didn’t keep it and Olimpija came back to the game. 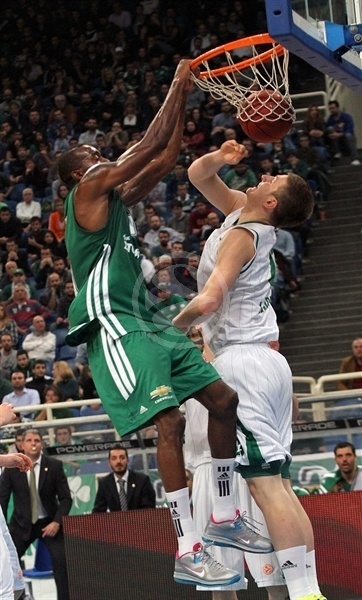 Panathinaikos had some good and some bad moments during the game. I am, satisfied with the creativity and the team spirit, as we dished 20 assists, but on the opposite side, the turnovers still hurt our effort. 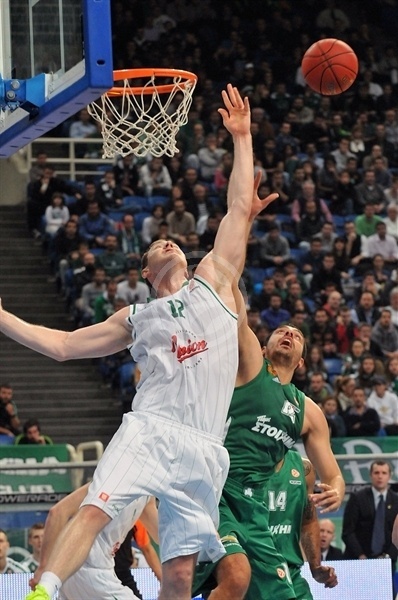 Olimpija took advantage of the transition game and made three-pointers. The team is still under pressure, but this is something that can become positive for the character of the players and the whole group. Marcus Banks is a real point guard and has a strong personality. He hasn’t yet the physical condition needed and has to become accustomed to the special situations in order to deal with the score and the time. I have to mention that two of our players, Diamantidis and Tsartsaris are now in the Eurolerague’s top three in assists and games played, respectively." "We had a very bad start to the game, but we managed to come back and stay competitive. I wanted my team to be more aggressive and I think that we showed Panathinaikos more respect that we had to. We started slowly in the third quarter and since Panathinaikos led in double digits, it was tough to come back once again. We found some open three-point shots, but it didn’t happen. At the end, the better and stronger team won the game." "Tonight I was feeling more comfortable and this is the reason I played better. I have done the best I could for the time being. Unfortunately it was another game in which we missed defensive boards and allowed our opponents to score points on second chances. This is something we emphasize in practice, but it hasn’t worked so far. I take some responsibility because I didn’t cover my opponent the right way and gave him the opportunity to grab the offensive rebound. But I hope that we will solve that problem soon."